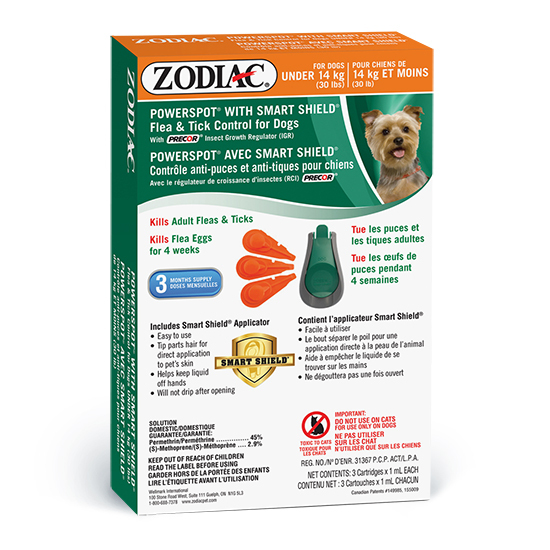 If you prefer the use of topicals, Zodiac® Powerspot® With Smart Shield® Flea & Tick Control For Dogs Over/Under 14 Kg (30 Lbs) will offer an effective and economical alternative. 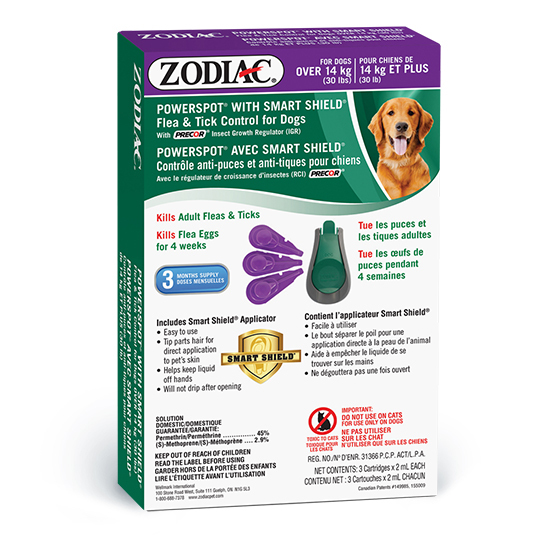 This product is designed to be used once a month and includes a Smart Shield® Applicator for easy and direct application to your pet's skin. Cats that actively groom or engage in close physical contact with recently treated dogs may be at risk of harm. Why Is Flea Prevention Important?